Working with qualified Certified Public Accountants can help protect your business and your assets over the long-term. Our team at APA Financial Services is skilled in all areas of financial management and can help you to navigate this complex area of the marketplace with ease and precision. As our client, you’ll receive insight on your financial obligations as well analysis on how to mitigate your costs moving forward. We handle all paperwork so you can focus on succeeding in your industry. No matter the size of your business, how long it’s been established, or what industry the business is in, having access to professional financial advice from an accountant is crucial, not just for success, but for the daily running of your business. As well as ongoing financial accountancy advice, having the assistance of a Certified Public Accountant (CPA) is a benefit that no established business can afford to be without. At APA Financial Services, we have an exceptional team of CPAs, who are experts in their field and highly-experienced in working with all types of business. By enlisting our help with the financial side of your business, you get the assurance that your finances are going to be managed efficiently at every turn, freeing up your valuable time to focus on your main business goals. CPAs are very different to standard accountants, although they can provide the same services. The process to become a CPA is incredibly difficult and takes a considerable amount of time. Every CPA has completed advanced accounting and business classes, finished a year of supervised experience, and undertaken a very strict testing procedure to gain a license to practice in a particular state. The extensive training process means that many CPAs have a superior knowledge of tax codes, which can be invaluable to all types of business. CPAs can also provide representation in the event of an IRS audit, and are able to legally act on the behalf of a business or individual. A CPA follows a code of ethics, in order to provide the exceptional quality of services that the profession is known for. 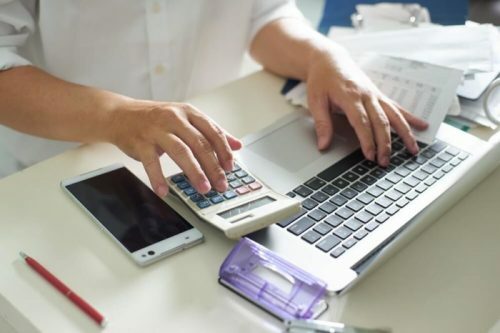 The ability of CPAs to provide expert advice and guidance on all accounting matters, and complete complicated planning, preparation, and reporting services, means that they’re relied upon as financial advisors in businesses big and small. Enlisting the ongoing aid of a CPA for your business finances will ensure that you stay ahead of the game with a full knowledge that your business is up-to-date and in compliance with the latest tax laws. How Can Our Certified Public Accountants Help Your Business? We have substantial experience in all areas of tax preparation and planning, giving us the skills and knowledge to help your business to get the most back from every opportunity. With expert representation, and comprehensive knowledge of tax law, APA Financial Services will make sure that you always stay ahead of new challenges. Our CPA team can take care of compiling, reviewing, and auditing all the financial statements for your business. We can provide a full review and unbiased opinion on your statements, to make sure that everything is perfectly in order. APA Financial Services can also protect your business with full representation in the event of a tax audit by the IRS. The specialist CPA team at APA Financial Services can provide comprehensive consultancy services to keep you informed about the latest opportunities and risks that your business may face. We can help you to identify problems and improve the management of your business finances at every level. Due to our years of experience, we can competently create new financial strategies to give your business the best chances of success now and in the future. From strategies to financial forecasts and forensic accounting, we can provide every service that you require to competently and effectively manage your business finances and drive your business towards success. If you require the services of an expert CPA, then APA Financial Services are the Chicago-based service to call for all your tax, financing, and business accounting requirements. Why Choose the Certified Public Accountants from APA Financial Services? APA Financial Services have been providing financial advice, guidance, and accounting services for many years, helping businesses all around the Chicago area to better manage their finances and stay ahead of challenges. Our service is dedicated, reliable, and tailored to your needs, giving you fast accounting assistance from qualified experts in the field. For professional support towards establishing a stronger and more successful financial future for your business, contact APA Financial Services today. Our team are always on hand to handle your finances, so you can focus on the growth of your business. Our Certified Public Accountants can help complete all bookkeeping and accounting work and ensure that your organization has a strong financial future. We can review your assets and costs and build strategies that help to secure your firm while mitigating exposure to high taxation rates and potential financial penalties. When you have accounting requirements that must be completed on short notice, we can respond adeptly. Our team’s decades of experience in the accounting industry means we know the rules to be complied with and the responsibilities of businesses. We’ll work with you to resolve accounting challenges on short notice to help protect your organization moving forward. Our accounting team can offer their services for all types of organization. Whether you run a small business from home or a mid-size company with a national client-base, you can turn to APA Financial Services for prudent financial management. Our Certified Public Accountants are here to keep your business on strong financial footing for the future. To discover more on our services, or speak with an expert, call us today.